You might be surprised if you knew how often I find myself sitting on my couch going, “Ugh, I really do not feel like going for a walk right now but I need to find something new to blog about.” Inevitably, though, once I’m actually outside my energy comes back and I end up enjoying myself thoroughly. 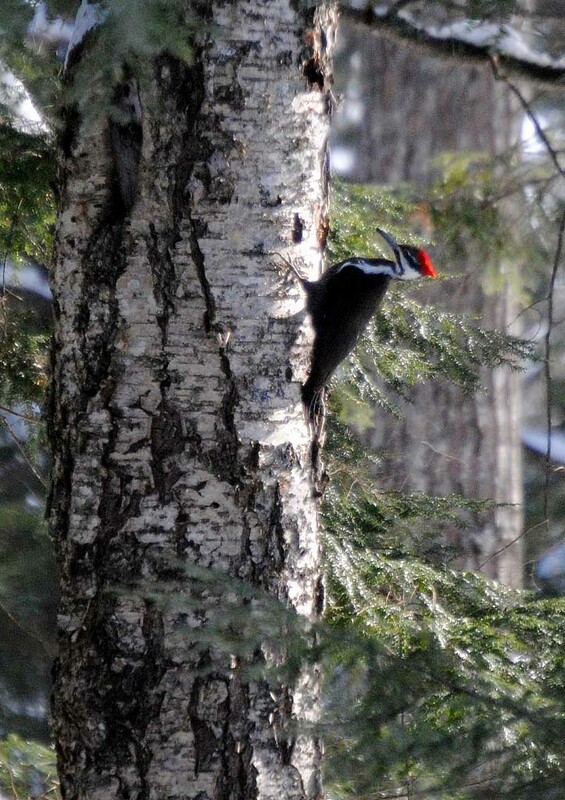 This is (of course) a Pileated Woodpecker – a female, as you can tell from the black forehead. This is a really cropped photo, but I spent a few minutes walking closer to try to get a better one. I was able to walk right up to the tree she was in without disturbing her, but she’d moved around to an awkward spot between branches. I’m guessing it’s too early for them to be nesting, but pairs stay on their territories all winter, ripping up dead trees like this one in search of insects to eat (they’re especially fond of ants). 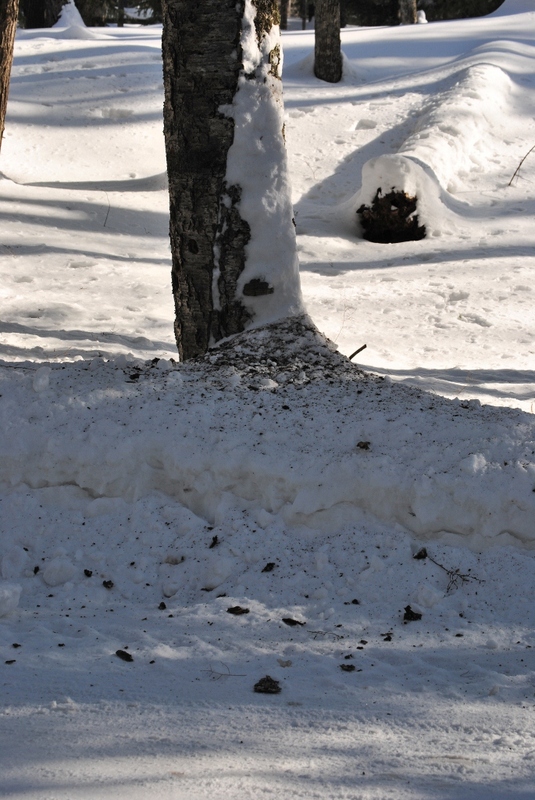 This one was leaving quite a bit of debris around the base of the tree she was working on. 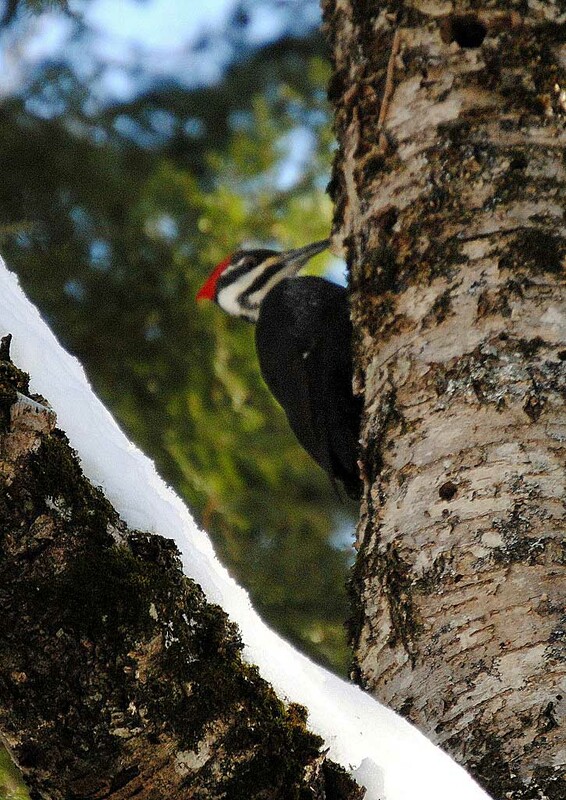 Nothing to brighten your afternoon like a close encounter with North America’s largest woodpecker! I live in Central Georgia and I have a pair of Red Headed woodpeckers as well as a handful of smaller woodpeckers that I’m not sure what breed they are. It is woodpecker heaven around my house. They are awesome & beautiful birds…but one keeps trying to peck a nest in the upper floor roof corner! So I’ve had to install metal corners on all for edges and this seems to have done the trick. Crazy birds!!! Your smaller woodpeckers are probably Downy Woodpeckers, or possibly Hairy Woodpeckers, which are very similar but a bit bigger. Another species to look up if you don’t know your birds all that well would be Red-bellied Woodpecker (often confused with Red-headed since it does have red on its head). 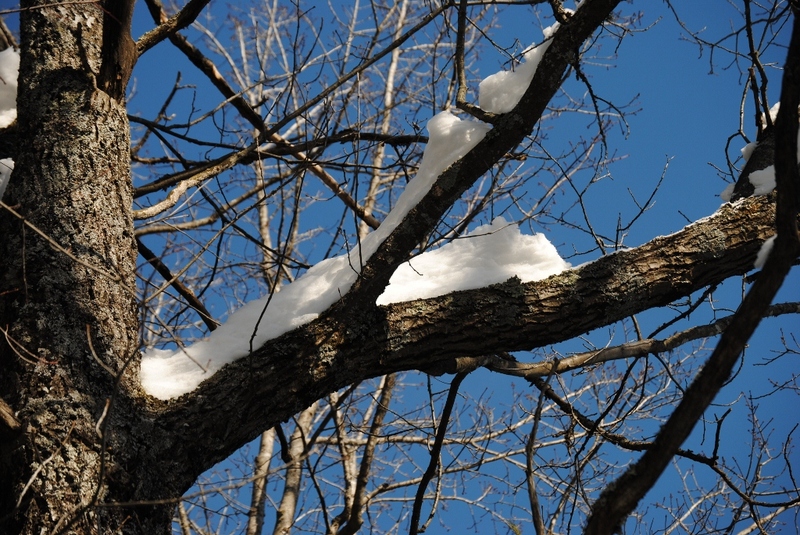 Glad the metal corners helped – I’ve heard a lot of stories about woodpeckers that try to excavate people’s houses! We have these in east Texas. I love to hear them as well. I laughed out loud at your opening line–how true for the blogging life! Happy to have discovered your blog through Zemanta’s suggestions for related articles–I linked to this post in my own recent post, here: http://www.joyfullygreen.com/2013/03/pictures-ponderings-from-thought-to-action.html. Those woodpeckers really are something, aren’t they? They’re totally “in the zone” when they’re pecking away. Cool shots love your pictures! I also have a family of pileated woodpeckers living near by and finaly got one good picture. check out my picture.